Understand the details of the New Tax 2018 - Wealth Legacy Group®, Inc.
Much has been made of the new 20% tax deduction for S corporations and LLCs in the Tax Cuts and Jobs Act of 2017. The 21% tax rate given to C corporations has been a tremendous benefit to those structured in such a way. But what about “equality” for pass-through entities, such as LLCs and S corporations? That is what the 20% exemption is designed to do—bring at least some degree of parity – allowing only 80% of pass-through income to be taxed at higher personal tax rates. It looks good on paper but not everyone qualifies for this tax break. Do you? The goal of this article is to help you understand some of the details of this new tax provision, which is one of the most highly anticipated – and least-understood aspect of the new law. Bringing clarity to confusing tax code provisions? Imagine That™! C corporations are taxed at the business entity level and because they are not a pass-through entity, the owners of the C corporation cannot use Section 199A. The 20% tax deduction does not generally apply to business which provide services, such as doctors, lawyers, accountants, actuaries, performing artists, consultants, athletes, stock brokers, etc. But there are important exceptions to this rule. I don’t know if they had good lobbyists but for whatever reason, architects and engineers are permitted to use the deduction even though they clearly provide services. And even those who provide services are entitled to the 20% deduction if they have taxable income less than $157,500 if single or $315,000 if married. If the service provider’s income exceeds the $157,500/$315,000 threshold, the deduction is proportionally reduced. They will lose the deduction entirely if they make more than $217,500 if single or $415,000 if married. Nuts! The following table makes it easy to see whether you are entitled to the 20% deduction if you are a service provider. Buckle Up Cowboy – How do you Determine “Qualified Business Income”? If the taxable income is less than $157,500/$315,000 (if married), then the 20% deduction is fully available. QBI is defined as “ordinary” income, less ordinary deductions you earn from a pass-through entity. It generally means profit from the business and does not include “passive” income, such as interest, dividends, and capital gains or losses (short-term or long-term). QBI also does not include wages you earn as an employee, guaranteed payments received from the business, or any income not connected with a U.S. business. The following table makes it easy to see whether you are entitled to the 20% deduction if you are not a service provider. Since the devil is in the details, we will discuss three examples to illustrate how the deduction works. Example 1: Jane is married. She and her spouse earned $320,000 in 2018 in net business income and paid out $200,000 in W-2 wages. Their deduction is the lesser of 20% of $320,000 ($64,000) or 50% of the W-2 wages (50% x $200,000 =$100,000). Since their income is over the $315,000 threshold, they would be entitled to a partial deduction. How to calculate the deduction is beyond the scope of this newsletter but it will be slightly less than $64,000. Example 2: What if Jane and her spouse earned more business income? Assume, Jane and her spouse earned $800,000 in net business income in 2018 and paid out $200,000 in W-2 wages. Her deduction is the lesser of 20% of $800,000 ($160,000) or 50% of the W-2 wages (50% x $200,000 =$100,000). They would be entitled to a $100,000 deduction. Example 3: What if Jane and her spouse earned less business income? Let’s say Jane and her spouse earned $300,000 in net business income in 2018 and paid out $200,000 in W-2 wages. Their deduction would be $60,000 (20% of $300,000) because their income is below the $315,000 threshold (and the W-2 limit and depreciable asset limit calculations do not apply). Individuals can obtain the 20% deduction regardless of whether they itemize their deductions or take the standard deduction on their tax return. The 20% deduction is based upon the taxpayer’s ownership interest. For example, if a person has a 30% interest in a partnership, they get the deduction on only 30% of the net business income. The calculation is done on an entity-by-entity basis. For example, if you have two rental properties in two LLCs, the income cannot be combined, and you must calculate the deduction separately for each LLC. 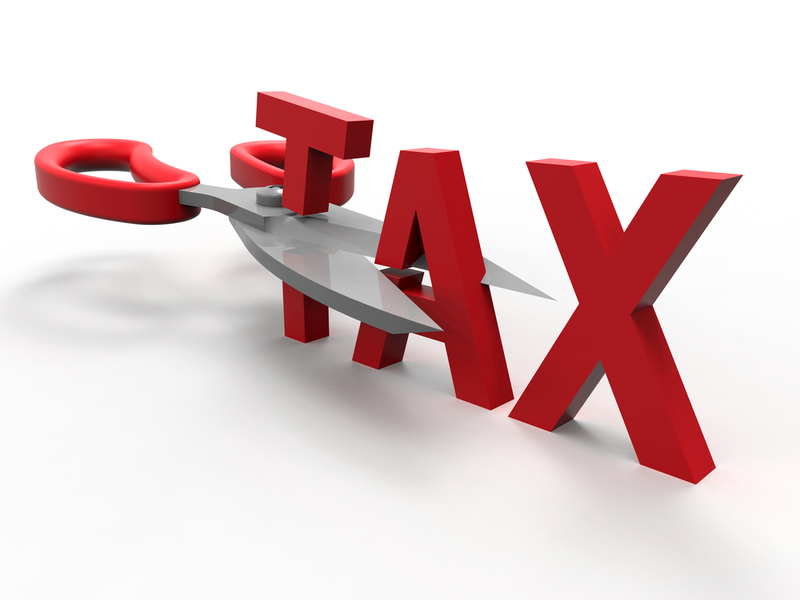 The alternative minimum tax (AMT) will not reduce the amount of the 20% deduction. The deduction applies when calculating the AMT. The 20% deduction will not affect the amount of self-employment income or state income taxes. The deduction is only for calculation of the taxable income in your Federal tax return. The 20% deduction is not a permanent tax code provision. Section 199A will sunset after 2025 if Congress does not amend this section in the future. If you don’t understand all the formulas above, join the club! Only a CPA or tax attorney would enjoy all the complexities of Section 199A. If you need help in determining how this section applies to your situation, please contact us and we’ll talk through your situation together. One way to take advantage of this new law would be to consider adding more people to payroll or re-leveraging debt obligations to increase the Qualified Business Income deduction. In addition, some business owners may want to run a comparison to determine whether they should keep their business as a pass-through entity or change to a C corporation to obtain the 21% tax rate. We will be happy to run various comparisons if you would like to see whether a C corporation may have attractive tax advantages. Pingback: I Wish I Had Known About This For My Own Mom (May 2018) - Wealth Legacy Group®, Inc.
Pingback: Just When You Thought It Was Safe To Get Back Into The Water! - Wealth Legacy Group®, Inc.
Pingback: Do You Have The $400 To Cover An Emergency Expense?